In the first public hearing of its kind, the South African government explained to the International Criminal Court (ICC) why it failed to arrest Sudanese President Omar al-Bashir when he attended an African Union (AU) summit in Johannesburg in 2015. It was this event two years ago that precipitated South Africa’s decision to withdraw from the ICC – a process which has since been halted as government mulls its options and priorities. The appearance in The Hague on 7 April came after ICC judges’ decided in December 2016 to rule on whether South Africa acted unlawfully by not arresting and surrendering al-Bashir to the court. For over an hour, the South African government laboured to explain its decision. The picture that finally emerged is one of a government desperate to justify why it failed to comply with its international law obligations. 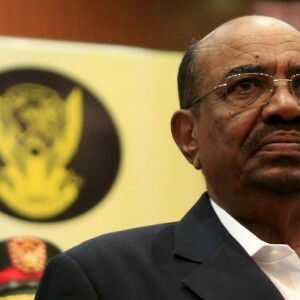 The ICC’s position on the issue has remained consistent since June 2015 – namely that under the ICC’s Rome Statute, South Africa was obliged to arrest and surrender al-Bashir. In contrast, South Africa’s arguments before the Court had completely changed from those put forward shortly before, during and after al-Bashir’s visit to the country. At the time, government’s main argument was that South Africa was caught between its obligations under the Rome Statute and those that grant immunity to heads of state. In The Hague, South Africa’s lawyers changed tack – putting forward these two arguments to the ICC judges. First, that there was no duty under international law and specifically the Rome Statute for South Africa to arrest and surrender al-Bashir. And second, that there is no cause to refer South Africa to the ICC Assembly of States Parties (ASP) or the United Nations Security Council for this non-compliance. The first argument is flawed on several levels. South Africa’s own courts were unequivocal in their ruling that the government failed, and deliberately so, to comply with its own law on the matter – the Implementation of the Rome Statute of the ICC Act of 2002 (ICC Act). These damning judgements were barely acknowledged in South Africa’s arguments at the ICC proceedings. Instead, counsel for the government, Dire Tladi, was quick to point out at the start that ICC proceedings were completely different from those concluded in South African courts. This argument implies that processes in South African courts deal only with domestic law, while those at the ICC relate to the Rome Statute. This reasoning is wanting. In their judgements, South Africa’s courts considered the ICC Act and the Diplomatic Immunities and Privileges Act 37 of 2001, both of which bring international treaties that South Africa has signed, under the ambit of national law. Indeed one of the reasons the ICC Act was passed by Parliament is to enable South Africa to conform with its obligations under the Rome Statute. So the domestic court judgements on al-Bashir are directly relevant because they ruled on whether the government abided by its obligations under international law – in this case the Rome Statute. Explaining their position to the ICC, South Africa’s lawyers made another curious assertion. The government did not have to arrest and surrender al-Bashir, they said, because the UN Security Council resolution referring Darfur to the ICC compelled Sudan and other parties to the conflict to cooperate with the ICC – but not other UN member states. The argument flows from the fact that the resolution ‘urges’ rather than obliges other member states to cooperate with the ICC. This wording does not, however, absolve South Africa of its obligations under Rome Statute. These convoluted arguments mask the real issue at play – the question of immunity from prosecution for sitting heads of state. This remains the chief concern of African states and the African Union (AU) when it comes to the work of the ICC. The 7 April proceedings and the decision they produce will have a significant impact on already strained relations between the ICC and many African states. The ICC now has an opportunity to pronounce itself with finality on the immunity question. There are several avenues within the Rome Statute system to deal with this and other issues that make African states reluctant partners of the ICC. As a general rule of international law, immunity for heads of state and government is meant to help these state officials carry out state functions. This immunity is not intended to shield alleged perpetrators from accountability for international crimes. If the ICC decides that South Africa failed to comply with its Rome Statute obligations, the finding will be referred to the ASP and/or the UN Security Council. It is unclear whether either outcome will result in sanction, however. There have already been 13 findings of non-compliance and/or requests for appropriate action to be taken against Sudan and states parties to the Rome Statute for failing to arrest al-Bashir and other fugitives from justice. The UN Security Council has yet to act on these referrals. Nevertheless, the public hearing reveals a South African government on the back foot, struggling to provide legal cover for political decisions that violate international human rights law. The assertion at the hearing that Sudan would have reprimanded South Africa had it arrested al-Bashir shows a lack of understanding about where government’s legitimacy is derived – from the will of the people. There is little difference between the victims of international crimes in Darfur and the South African people when the state they rely on turns against it.